Football Club mascots kicked off Youth Sport Trust’s National School Sport Week with Mascot Monday – leading activities in local primary schools to get pupils moving while they learn. 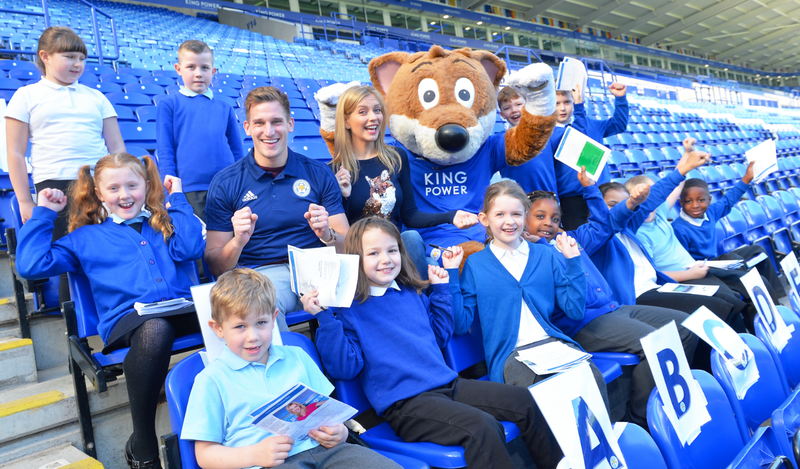 Forty football mascots from Premier League, English Football League and National League clubs teamed up with their partner schools and got involved in Super Movers assemblies and classroom sessions – created in a partnership between Premier League and the BBC. Tottenham Hotspur played host to a lively alphabet-themed warm up session for 130 local pupils, led by CBBC stars Naomi Wilkinson and Hacker T Dog. The special visit marked the start of the annual Enfield Special Schools Football Festival, which is run in partnership between Enfield Council and the Tottenham Hotspur Foundation. The Premier League trophy also paid a special visit to Gallions Primary School in Beckton, who are West Ham United Super Mover Champions. Pupils took part in a host of Super Movers activity – and then got the chance to see the Trophy close up! Super Movers is a partnership between the Premier League and the BBC which bring stars from the worlds of football, music and television together in fun, free and easy-to-follow educational videos designed to capture children’s imaginations and help teachers to get them moving throughout the day with a series of routines and activities. Super Movers supports, and compliments Premier League Primary Stars and many schools are using the great free resources and activities alongside each other. Sign up to Super Movers here.